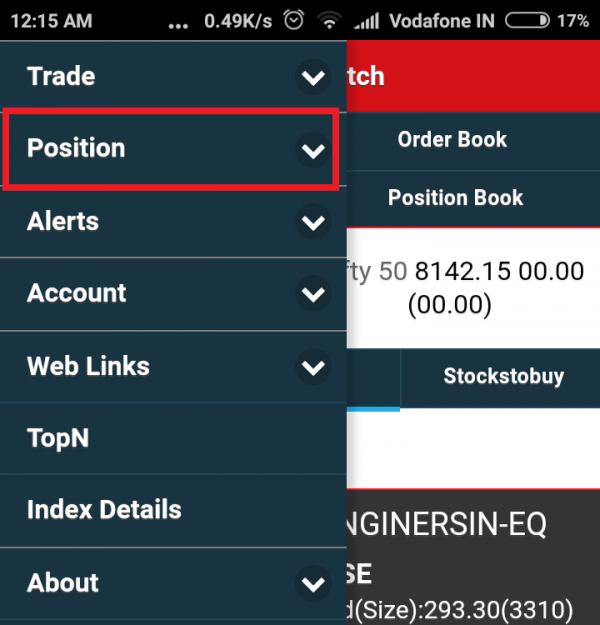 How to Check Open Positions in SAMCO Mobile Trader? 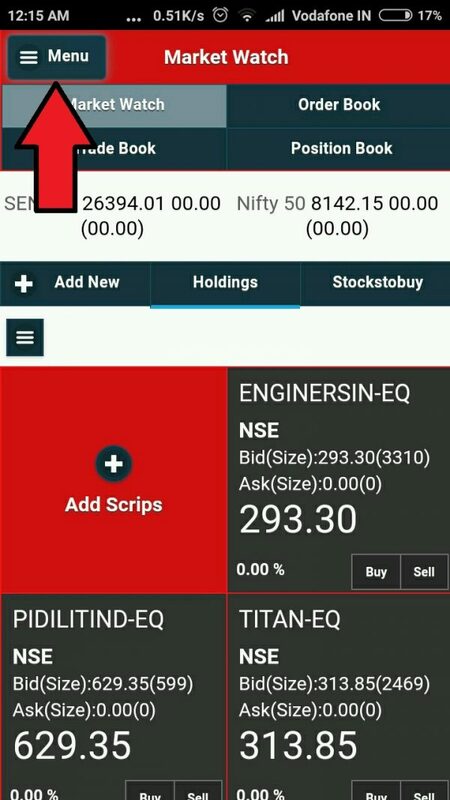 Home/Trading Platforms/SAMCO Mobile Trader/How can I check my open positions on SAMCO Mobile App? Once you are Logged in to your SAMCO Trading account via SAMCO Mobile trader. follow the below steps to check your positions. Step 1) Click on the Menu Button on the top left of the Mobile screen, A Drop down menu will appear, Click on “Position” button from the list. 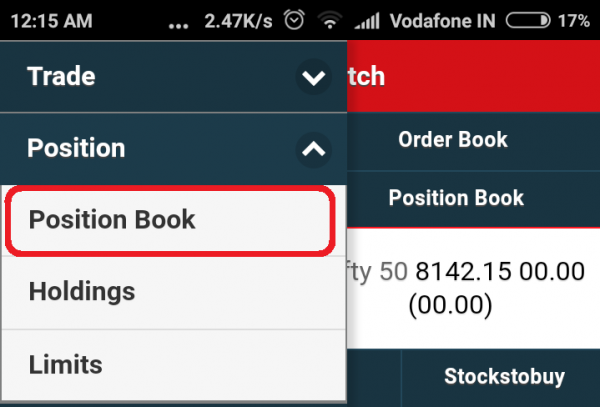 Step 3) After you selected Position book from the sub menu options. A Screen will pop which will display positions for the day. 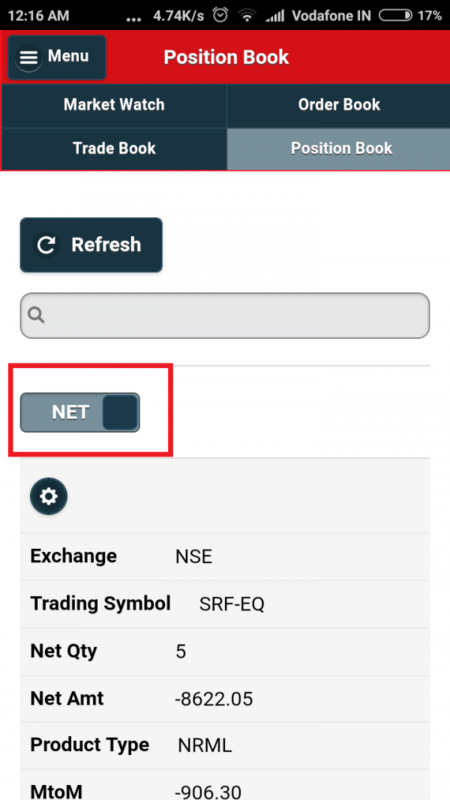 Here you can slide the Position selector from “Day” to “Net” and this will display your net positions. Sir how can I check my ledger balance and transactions.